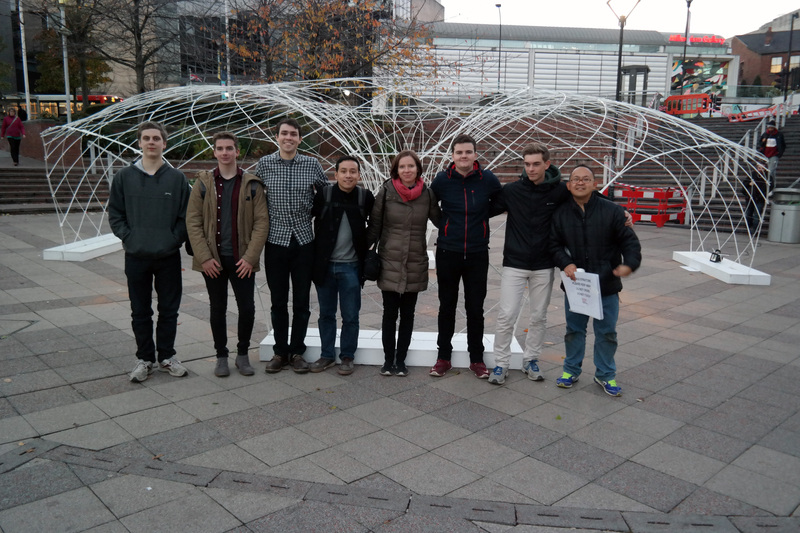 After four days of hard work, the Magnolia Gridshell was finally completed, and is now standing proud at the centre of Hallam Square in Sheffield, UK. It sits between the City Campus of Sheffield Hallam University, where a related lecture series on gridshells is being held, and Sheffield Millennium Gallery, where tonight’s exhibit on gridshells will open. Altogether, the Making:Gridshells event encourages students, professionals but also members of the general public to visit, see, learn and understand structurally efficient and architecturally expressive gridshells. The pavilion will stand for the next six weeks, before being disassembled. © 2019 Summum Engineering. All rights reserved. All your base are belong to us.